Last Saturday, my daughter and her boyfriend (both age 16) attended the junior prom. If you’re interested, you can see a variety of pictures here. She had been building up to it for weeks. A month ago, we drove two hours to Indianapolis to shop for her dress and shoes, so no one else would have the same ones. Over the course of the preceding week she applied assorted exfoliants, lotions, and oils to herself to make her legs, back, arms, and face smooth and clear. On Thursday, she got a pedicure so her feet were pretty, with coral nail polish. Friday night, she practiced her makeup. They had a wonderful, wonderful time: they ate dinner with a group of friends, danced the night away, had a late-night snack at Steak & Shake, and then came back to our house, where they and 3 other friends put on casual clothes, took showers, and crashed about 3:00 a.m. (girls upstairs, boys downstairs). Sunday morning they slept in and then ate a vast quantity of warm cinnamon rolls. The rest of the day was spent in lazy relaxation (for the kids and for the mom who stayed up way past her usual bedtime to be sure they got home OK). This weekend my daughter was as happy as I’ve ever seen her — which made me very, very happy, too. It was exactly the way the prom should be! 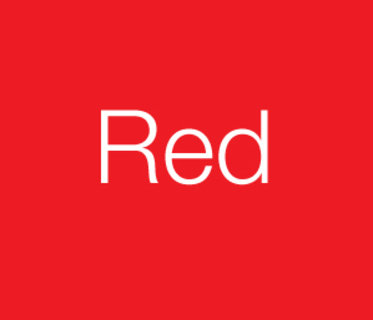 I heard earlier on NPR that one of the guidelines given to organizations that are caring for children taken from the polygamous sect in Utah is that they should, as much as possible, remove the color red from the environment. In addition, caregivers shouldn’t wear red clothes. Why? Because sect members associate the color with evil or Satan, and therefore the children might be frightened to see it in their surroundings. As I listened, I looked at the walls of my kitchen / office alcove / dining area, which are — you guessed it — red. My gosh, I thought, those poor kids would be scared to death if they came in here. My 7th-grade son has said that the last several nights at dinner time. When asked why, he just shrugs. Tonight it had happened enough times that I was worried, so we pushed the issue. Why aren’t you hungry? Don’t you feel well? When you went over to Grandma’s to watch TV, did you have a snack? A pack of Oreos, as in an entire sleeve of Oreos out of the package? How many is that? Gosh, I wonder why he isn’t hungry. Later, as we were eating, he cheerfully began to recount the tales told by his Geography substitute, who used to be a Marine. How if you’re stationed in the Far East, and you go out and get really wasted, and you wake up the next morning feeling awful, you can drink something alcoholic that has some opium stirred into it, and sleep for about 6 hours, and you’ll wake up feeling fine. Ummm, yeah… Those don’t exactly sound like appropriate things for him to tell you. Did he say that he did those things? Dinner conversation with an adolescent is never dull. It’s official: our almost-13-year-old son is now taller than his dad. He’s a testament to the power of peanut butter, jelly, and pop-tarts! Archie, our orange tabby cat, likes to be in our bedroom. But he keeps me awake, so we put him out at bedtime. In response, he occasionally spends part of the night banging as hard as he can with both paws on the closed door. This morning, a little before 6:00 a.m., Doug and I both came awake at the same moment. “What was that?” he asked. “Archie?” I had a vague, sleepy memory of the door shaking loudly in its frame; the door was still vibrating, so I replied, “Mm hmmm,” and went back to sleep. A little while later our daughter turned on the news and called out, “Mom, dad, did you know there was an earthquake this morning? !” Ahh — so it wasn’t the cat after all. An earthquake! Too cool. At least, cool because it was enough to wake us up, but not enough to cause serious damage locally. It measured 5.2 on the Richter scale, with the epicenter off to our northwest. We’re subject to the rare tremor here thanks to the Louisville, KY area’s relative proximity to the New Madrid seismic zone. By an interesting coincidence, today’s quake occurred on the 102nd anniversary of the huge San Francisco earthquake. Fortunately, Louisville does not lie in ruins. 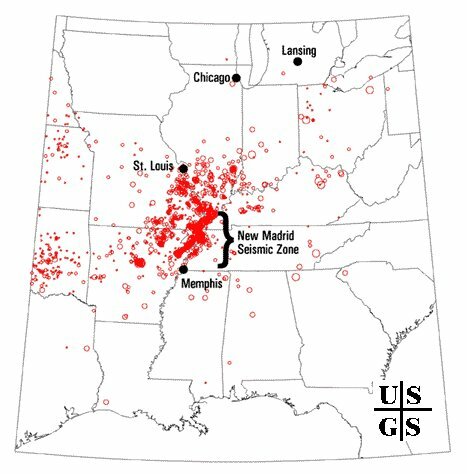 I’ve experienced only one other earthquake in my life, which also woke me up: I was in college at Purdue, taking a nap in my apartment, when a similar low-level New Madrid quake struck. I remember being on my feet before I was fully awake, wondering what in the world that feeling was that had wakened me so strangely. When you live in an area whose ground generally is solid and unmoving, the experience of an earthquake is … strange, to say the least. The earth is not supposed to move; it’s supposed to stay where it is and behave. Around here, when it decides to do otherwise, it’s an unusual, interesting, and yes, cool event. …They are not as outgoing and talkative as the Providers, except with close friends and relatives. With these they can chat tirelessly about the ups and downs in their lives, moving (like all the Guardians) from topic to topic as they talk over their everyday concerns. However, their shyness with strangers is often misjudged as stiffness, even coldness, when in truth these Protectors are warm-hearted and sympathetic, giving happily of themselves to those in need. …Protectors are quite content to work alone; indeed, they may experience some discomfort when placed in positions of authority, and may try to do everything themselves rather than insist that others do their jobs. While their work ethic is high on the ISFJ priority list, their families are the centers of their lives. ISFJs are extremely warm and demonstrative within the family circle–and often possessive of their loved ones, as well. … Needless to say, ISFJs take infinite trouble over meals, gifts, celebrations, etc., for their loved ones. And by the way, Dude, I’m totally, like, into your whole white-robe look, you know? Watch it here on the Huffington Post.